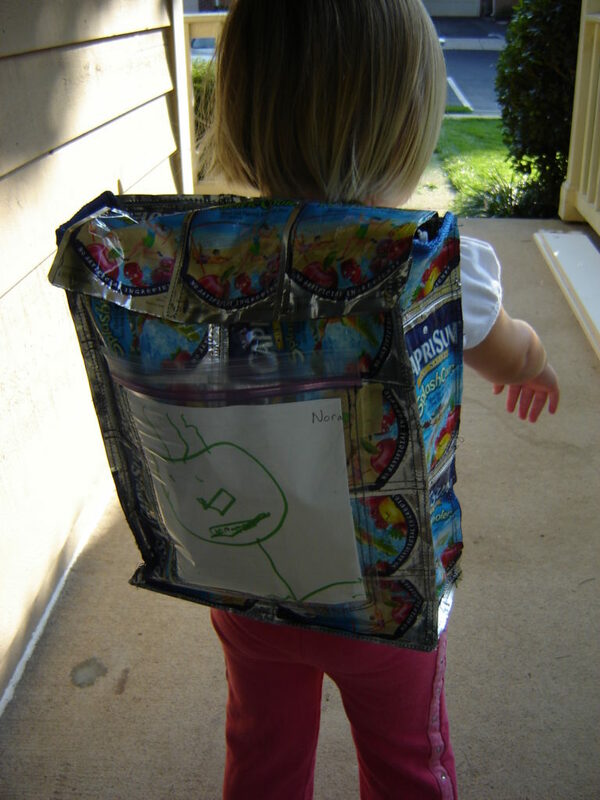 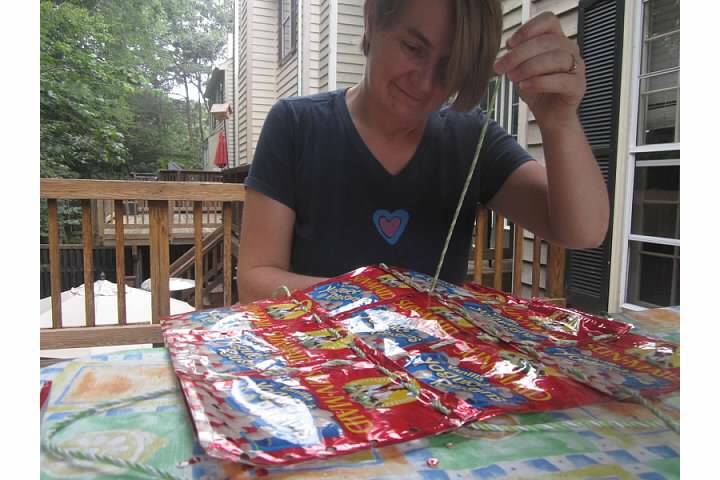 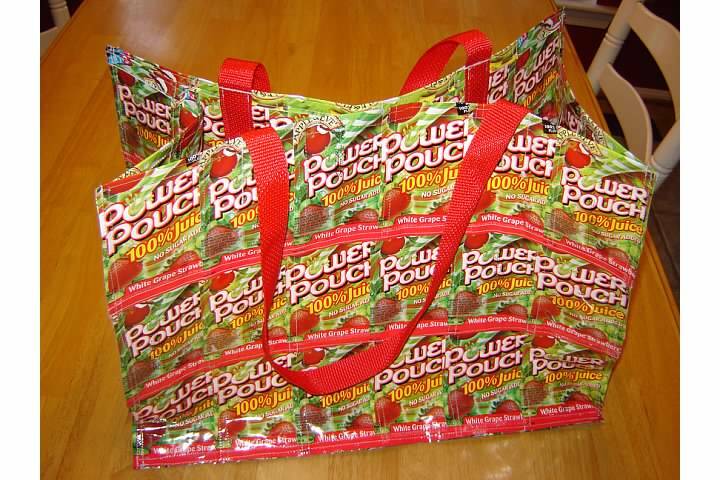 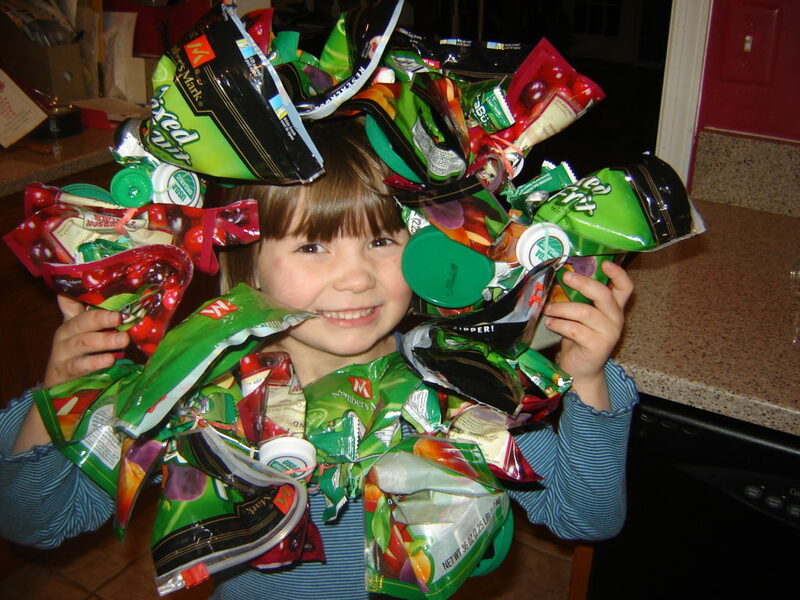 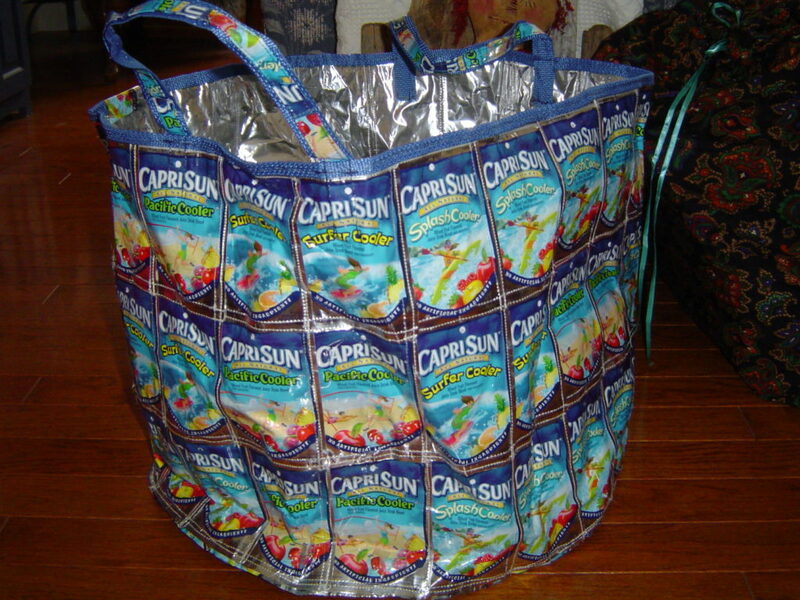 Juice pouches and other flexible food packaging are easy to use in creative reuse projects. 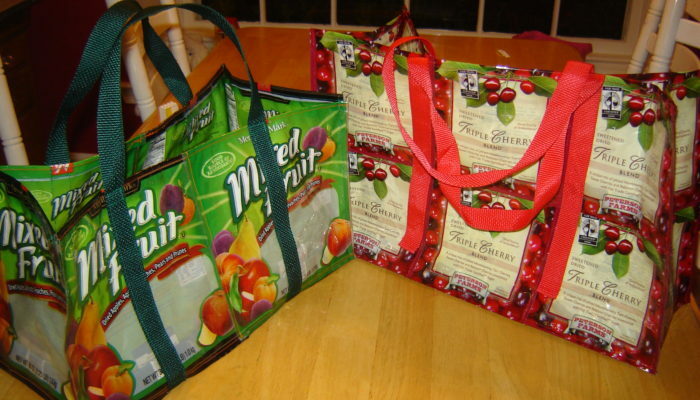 In this podcast, get tips on how to sew and clean this packaging. 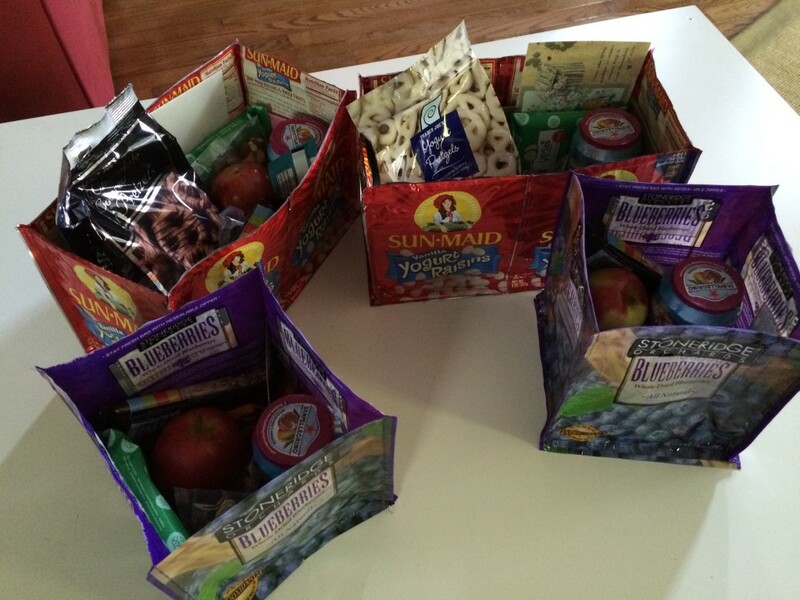 And check out the many projects I have made from this type of packaging over the years. 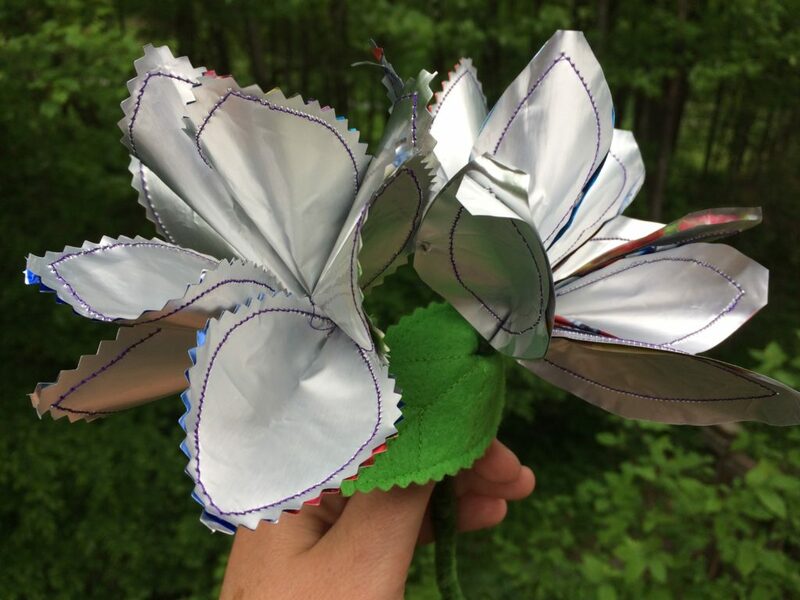 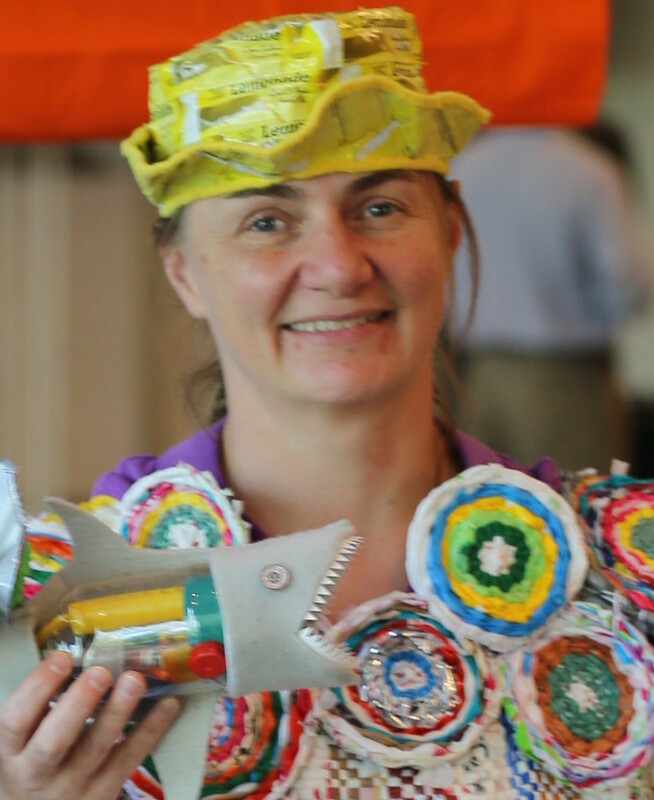 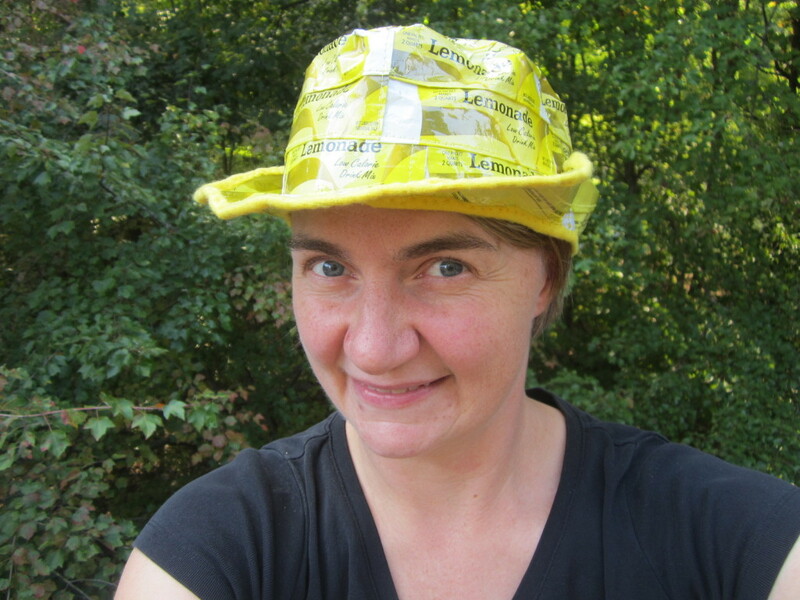 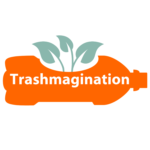 Trashmagination’s podcast on Trash Fashion – Many trash fashion designs can be made from juice pouches and similar packaging.